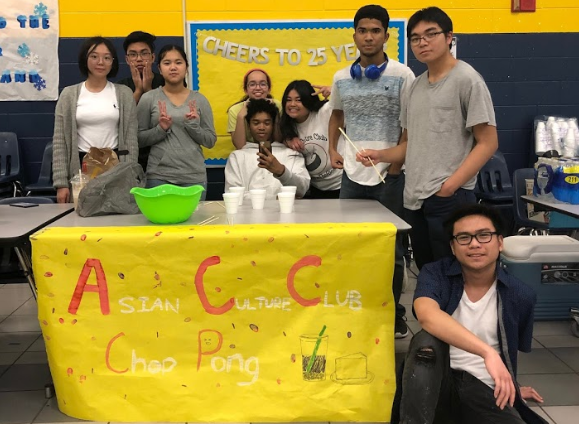 The Asian Culture Club poses at their booth at the Winter Carnival in the cafeteria on February 8, 2019. This Friday, the Dolphin Dash Student Crew hosted a Winter Carnival in the cafeteria. The carnival was from 5-8 p.m., and the cost was $5. Games and food were provided, and all proceeds went to Operation Smile. “It was so fun because we don’t really have many events like this in the middle of the year,” said junior Amor Adriano.